Why do I love travel? The world calls to us, ‘Let me tell you a story…’ So we go. We experience new creatures, places, peoples. And in doing so, we discover our own stories. To catch the early morning light at Gold Harbour on South Georgia is always a “pinch-me” experience. Ingrid Nixon is a professional storyteller and former National Park Service ranger. She has worked in expedition tourism for three decades, sharing stories of exploration, folklore, and natural history, while leading groups and driving Zodiacs. In her 15 years with the National Park Service, she directed the interpretive and education programs at Denali and Mount Rainier national parks, and created the innovative science education and partnership program for the Denali-based Murie Science and Learning Center, which represents eight of Alaska’s northern national parks. As an award-winning storyteller, Ingrid performs myths, tall tales, historical stories, folktales, and more at storytelling festivals and events throughout the United States, including the National Storytelling Festival in Jonesborough, TN. With a degree in Broadcast Journalism, she has written, hosted and/or narrated numerous films about national parks and won several national awards for her work. Over the years she’s also worked as a journalist, copywriter, and jack-of-all trades for a public radio station. Ingrid recently earned her masters in Storytelling from East Tennessee State University. She currently hails from the Olympic Peninsula of Washington State. Travel with Ingrid is not only informative, but a great deal of fun. She is sooooo knowledgeable! Even tempered as well. Always look forward to another journey with her. Join Apex at 90° North, the geographical top of the world. 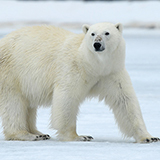 Search for Polar Bear and Pacific Walrus as you crush through Arctic ice on the world’s most powerful icebreaker. 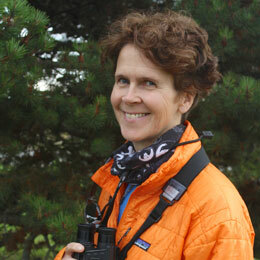 Ask Ingrid a question about her upcoming expeditions? Sailors have always been a superstitious lot, especially in the days of sail. With wind and seas beyond their control, they sought to control what they could. This is why some sailors carried around in their pockets special ropes tied in three knots. Created by “sea witches”, these knotted ropes came in handy when becalmed. To untie one knot brought a gentle wind from the southwest; two knots, a strong wind from the north; and three knots would unleash a tempest.